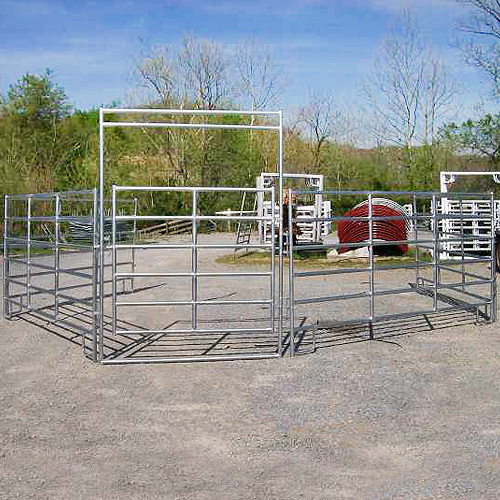 The RAMM extra tall round pen is constructed from quality tubular gavalume steel for rust protection. It's 6’ tall, which makes it safer for more excitable horses. It has a full gate panel with a spring-loaded latch. It's available in increments of 10' ranging from 30' - 80'. These panels are designed for the toughest situations and are great for crowding areas, extra tall for working areas, feedlots, round pens, horse arenas, paddocks, and portable stalls. 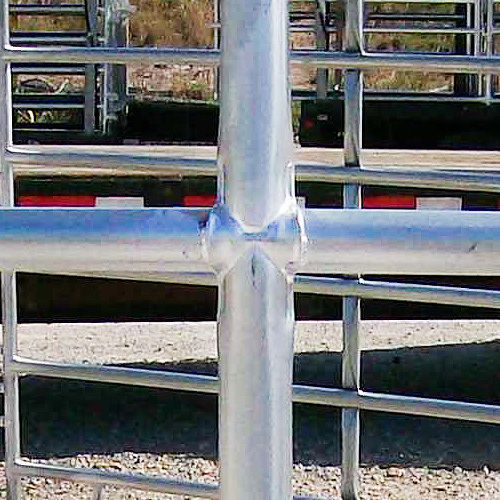 This is the heaviest panel we offer which can be used for cattle, horses, bison, you name it. Same as 6 bar round pen except for additional size and weight. 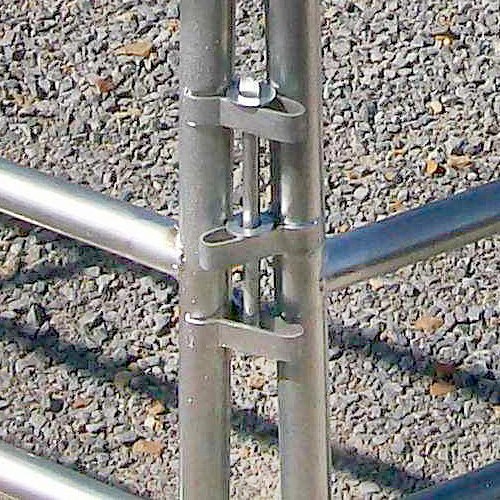 Support: Extra strength with bent tubing, center support for bar strength.